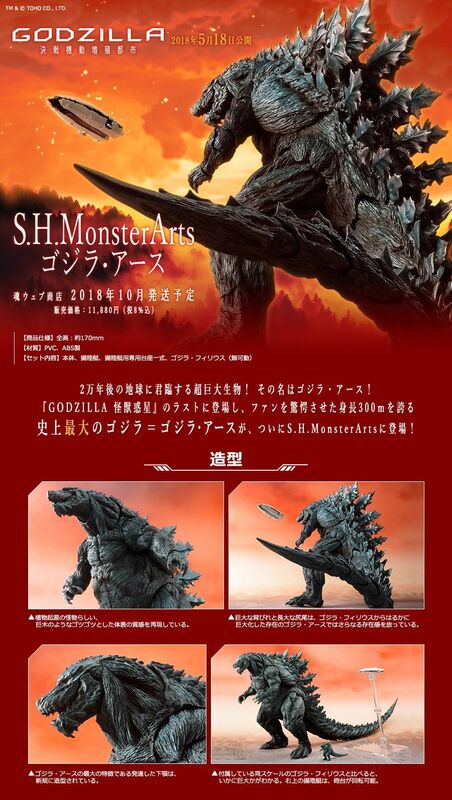 "Godzilla Earth" of 300 m class appears from "GODZILLA Fixed Battle Mobile Promotion City" to S. H. Monster Arts. Based on the cooperation of polygon · pictures, which is engaged in video production, 3D model which is used in movie is three-dimensionalized. 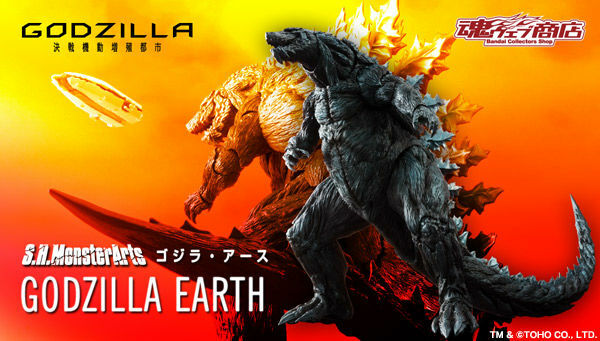 In addition to some new shaping, an amphibious boat (total length of about 55 mm), Godzilla · Philius (total height of about 25 mm) to reproduce the sense of scale is attached.